TORONTO—Ten Ontario companies were recognized for their accomplishments in exporting at the fifth annual Ontario Export Awards, held Nov. 20, at the International Centre in Mississauga, Ont. More than 150 manufacturing executives and representatives from trade, government and industry attended the prestigious event, presented by CanadianManufacturing.com and Plant Magazine, divisions of Annex Business Media. The awards recognize leadership, exporting growth and the creation of local jobs across a diverse range of sectors of Ontario’s economy. “Ontario companies are proving you can take on the world and win. 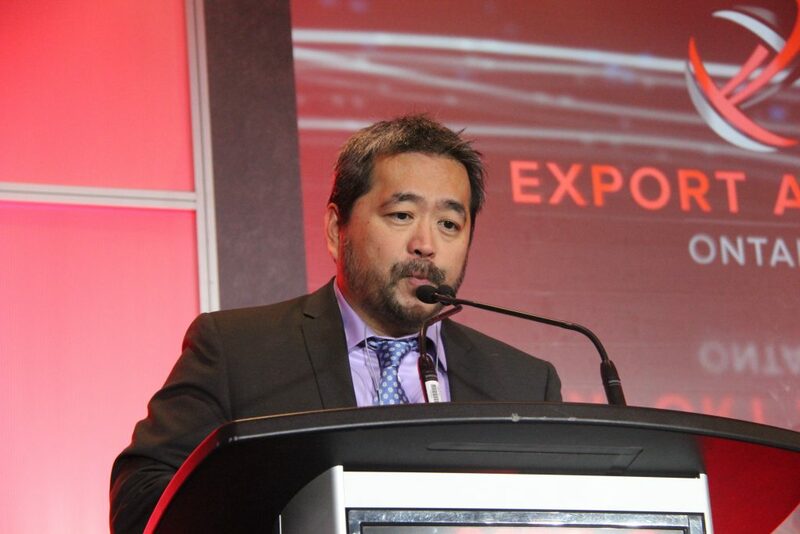 This year’s export award winners each share incredible international success stories and are models for others to emulate,” said Jeff Brownlee, publisher, Canadian Manufacturing.com and Plant Magazine. The winners, selected from a pool of more than 40 applicants, showcase the calibre and diversity among businesses in Ontario’s export sector, Brownlee said. The top honour, 2018 Ontario Exporter of the Year, was awarded to Richmond Hill, Ont.-based Laipac Technology Inc., which also won the sector award for Consumer Products. Laipac produces GPS tracking systems for large industrial and commercial assets, vehicles and people. Their technology is used in law enforcement, for convict or parolee monitoring; in health care, for patient monitoring and emergency notification; vehicle fleet management; and lone worker monitoring. Customers can use a web-based application to keep track of important things and people in real time. Lai started the company 20 years ago with his wife by investing in “machine to machine” technology, an early term for the Internet of Things, to create tracking and monitoring devices with a wide spectrum of applications. Nine other companies received awards in categories including Food, Beverage & Agriculture, Clean Technology, Services, Export Excellence and Leadership. Among the winners was Inkas Corp., which took home top honours in the Transportation Equipment category. Inkas is a manufacturer of armoured vehicles operating from a 200,000+ square foot manufacturing facility in Toronto. The company supplies a wide range of armoured vehicles, including executive SUVs, luxury sedans, special-purpose military vehicles, personnel carriers and cash-in-transit vehicles to law enforcement agencies, governments, corporations and high-profile individuals all over the world. Philip Daskal, vice president of Sales at Inkas, said during an interview at the event that hard work and innovation helped the firm get to where it is now, a leader in the industry. The Ontario Export Awards winners were selected by a panel of experts who based their selections on a set of criteria, including successful expansion into new export markets, year-over-year export growth, and a company’s creativity and excellence in working with international markets. A full list of winners and photos from the event can be found here.